The Residents of Delmanor Wynford love discussing current events. They thoroughly enjoy having conversations about the news with their friends and neighbors, and being given the opportunity to gain knowledge, and share opinions on what happens locally and around the world. A year and a half ago Delmanor Wynford introduced a program called “Front Page News”. The initial activity involved residents gathering together around the private dining room table with the LivingWell Team suggesting news headlines to discuss. 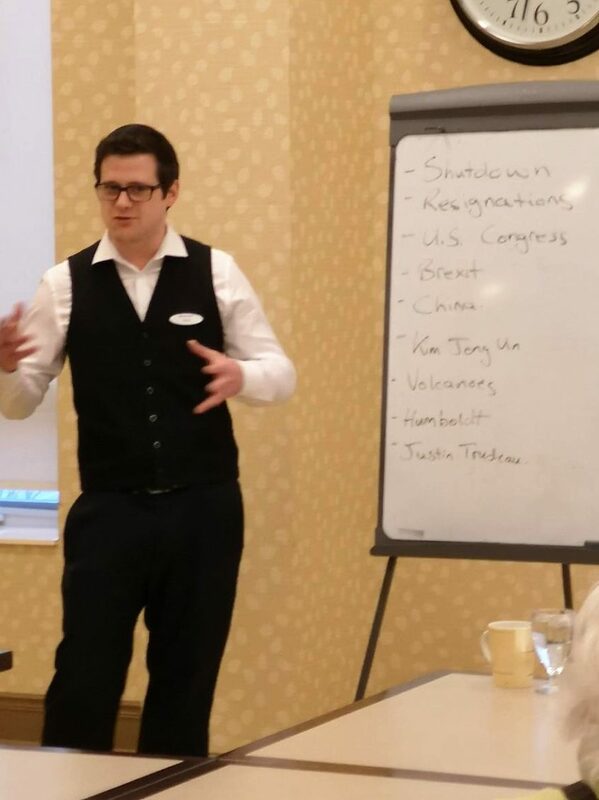 A team member from the concierge, David, filled in one day to help out as he has a wealth of knowledge in both current events and world history. After David ran the program once, there was no turning back! With David’s assistance the program has grown from a group of 6 – 8 residents once a month to a group of 20 – 30 residents every other week! The group puts forth news headlines and suggestions for discussion. They discuss various topics, such as politics, business, sports, entertainment and more. The residents love that David can pull details from past headlines and apply this information to current world news stories. 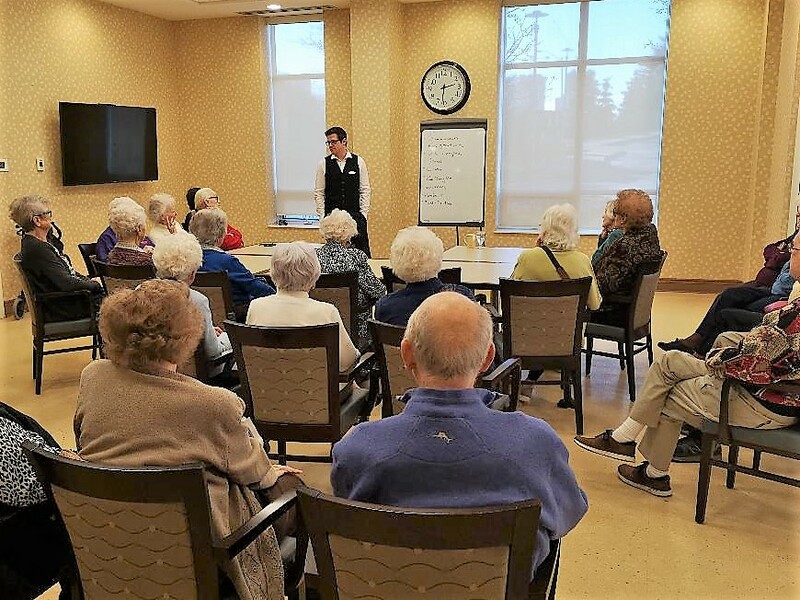 Residents enjoy the opportunity to involve past events and engage in friendly debates over topics of interest. Often these conversations continue on into the dining room or throughout the evening, long after the program has ended! The program name has recently been changed to, “The Parker Report”, to represent David’s hard work and passion for this very popular activity. This is a wonderful example of how residents at Delmanor Wynford connect with the team on a level beyond their daily interactions.